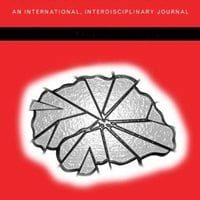 Despite their apparently divergent accounts of higher cognition, cognitive theories based on neural computation and those employing symbolic computation can in fact strengthen one another. To substantiate this controversial claim, this landmark work develops in depth a cognitive architecture based in neural computation but supporting formally explicit higher-level symbolic descriptions, including new grammar formalisms. In it's 2010 report "A Data-Based Assessment of Research-Doctorate Programs in the United States", the National Research Council ranked the Johns Hopkins Department of Cognitive Science as one of the top departments in the country in which to study linguistics. After a decade of research, cognitive scientist Barbara Landau is mapping new territory in Williams syndrome—a rare condition that has long baffled scientists. Click to read the article in Arts & Sciences magazine. This book explores and introduces the latter elements through an incremental complexity approach at the same time where CVPR problems are formulated and the most representative algorithms are presented. Interesting connections between information theory principles when applied to different problems are highlighted, seeking a comprehensive research roadmap. The result is a novel tool both for CVPR and machine learning researchers, and contributes to a cross-fertilization of both areas. Dr. Landau's scientific research addresses the nature of human spatial understanding, the nature of language, and the relationship between the two during early development and in adulthood. The Guggenheim Fellowship will allow her to spend a full year writing a book on the nature of spatial knowledge and language in people with Williams syndrome. This book is the final version of the widely-circulated 1993 Technical Report that introduces a conception of grammar in which well-formedness is defined as optimality with respect to a ranked set of universal constraints. 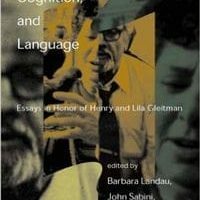 This volume reviews the full range of cognitive domains that have benefited from the study of deficits. 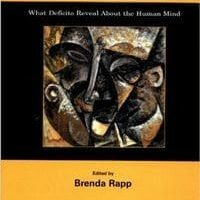 Chapters covered include language, memory, object recognition, action, attention, consciousness and temporal cognition. Highlighting the close relationship between linguistic explanation and learnability, Bruce Tesar and Paul Smolensky examine the implications of Optimality Theory (OT) for language learnability.